Over the past few weeks we've been running a course at Granby Children's Centre teaching gardening skills. Allan has been with us from the start and his passing curiosity in horticulture is blossoming (no pun intended!) into a real passion. Attending the course has helped me apply various methods at home. This has involved planting ornamental flowers and shrubs in pots and also planting my own foods. The foods planted so far include herbs, fruits and vegetables such as onions and beetroots. I plan to continue planting when the course has completed and to pass on the methods learned to friends, family and the community. Allan is currently in-between jobs, and so is taking the opportunity to develop his interests and learn new skills. 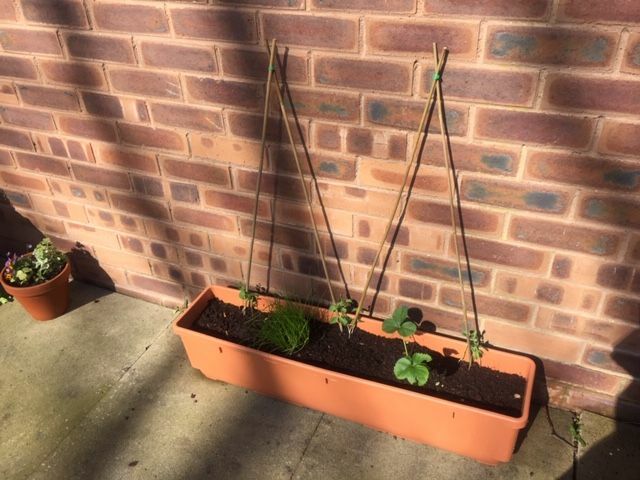 He is a committed and enthusiastic learner, and has applied the skills he has picked up on the gardening course at home, planting-up his own fruit and vegetables in sunny spots at home. We can't wait to see where his passion for gardening will take him next!